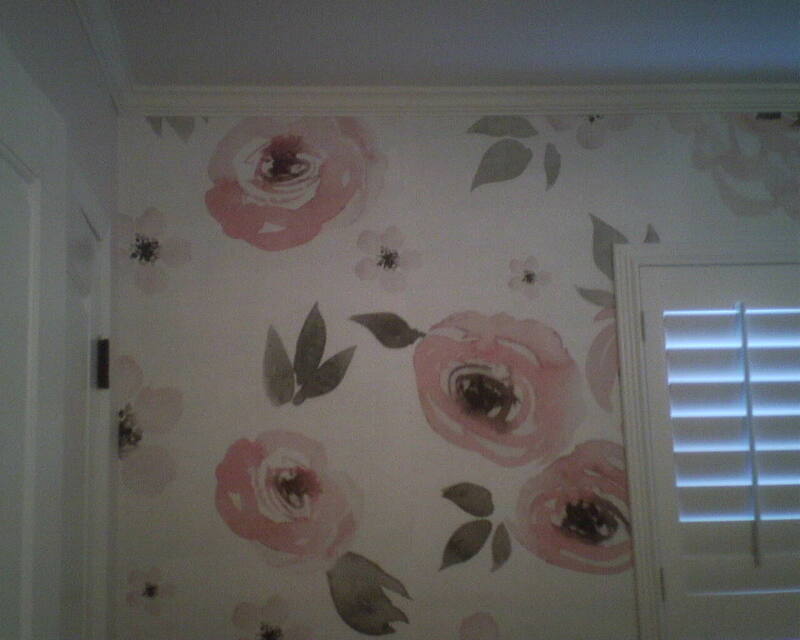 This is my second time to hang this mural wallpaper – and both times were for a little girl! 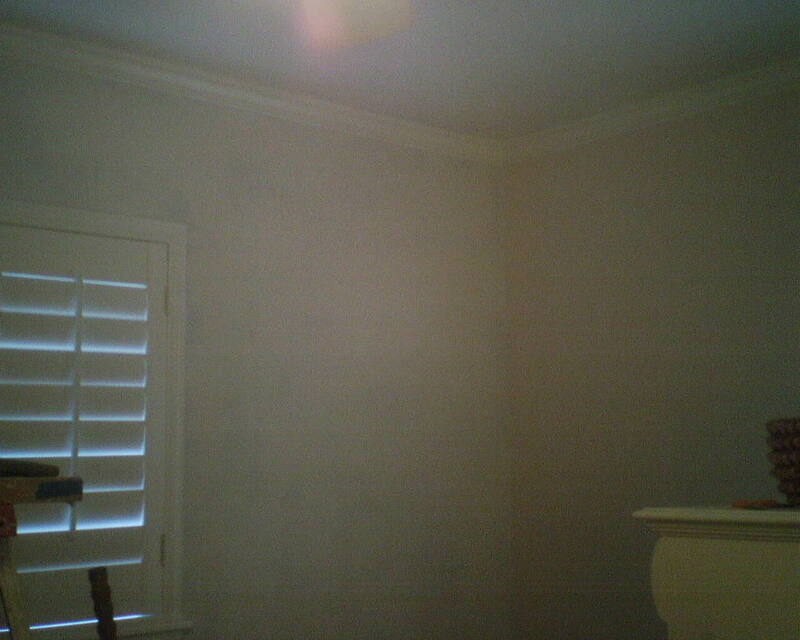 This mural is sweet, with subdued hues and watercolory transparancy, so it does not overwhelm the room. I hung it on one wall in a little girl’s room in the Briarpark neighborhood of Houston. I said I hung this before, but, to be honest, I am not sure. I’ve been told that all you need to do is tweak a design a little – the tilt of a leaf, the shading on a petal – and you can get around copyright laws and call the design your own. I think that’s what is going on here. 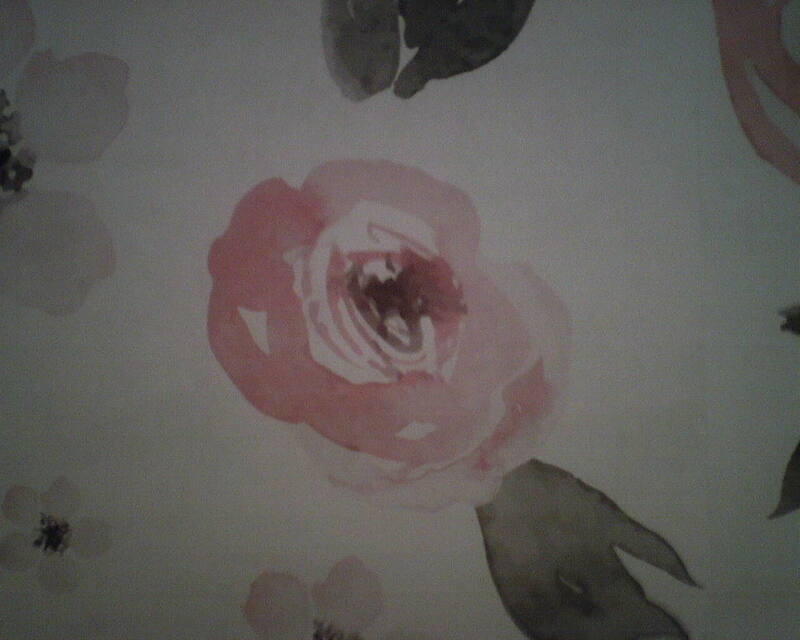 Here is the one I did previously: https://wallpaperlady.wordpress.com/2016/03/20/water-color-ful-wall-for-a-baby-girl/ If you look really closely, the flowers appear to be ever so slightly different. That tells me that one of them is a knock-off. In fact, the one I did a few months ago was very expensive, and was on a non-woven substrate, and was a paste-the-wall product. I didn’t have any particular problems with the installation. The one I hung today was less expensive, was printed on a thin paper substrate, and was a pre-pasted product. I had issues with seams that “gapped and overlapped” (butted perfectly in some places but overlapped in others), pattern mis-matched at the seams, paper twisting off-plumb, and the pattern not being printed at the right height at the top of each panel. This almost caused a huge problem, as I was about to come up with a strip that was unexpectedly 2″ short at the top of the wall – but I was able to pull some tricks and rectify that. 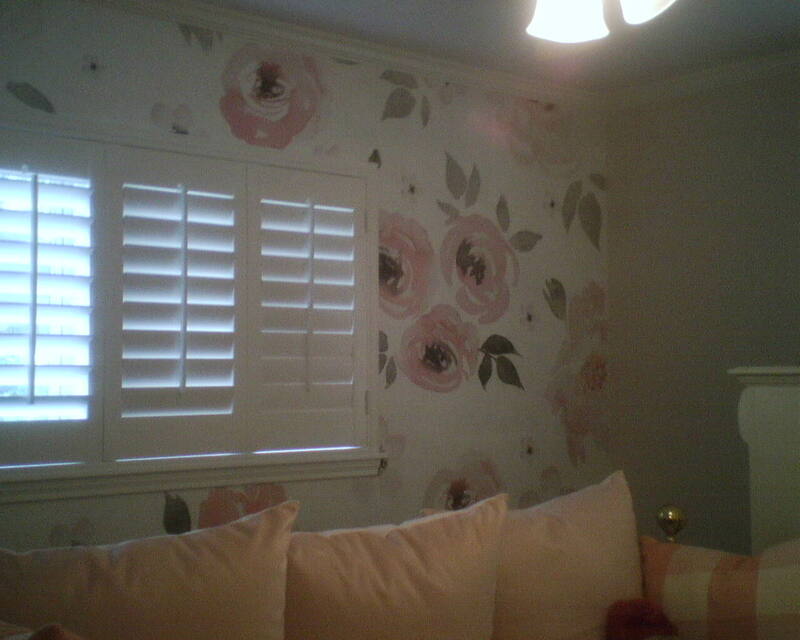 Whichever is the “real” design and which is the knock-off, the pattern and colors are perfectly suited for this little girl’s room – in fact, she was toddling around the house in a matching pink top! This wallpaper is described as a mural, and it came in a set of seven panels. It was custom ordered and sized to fit the wall. 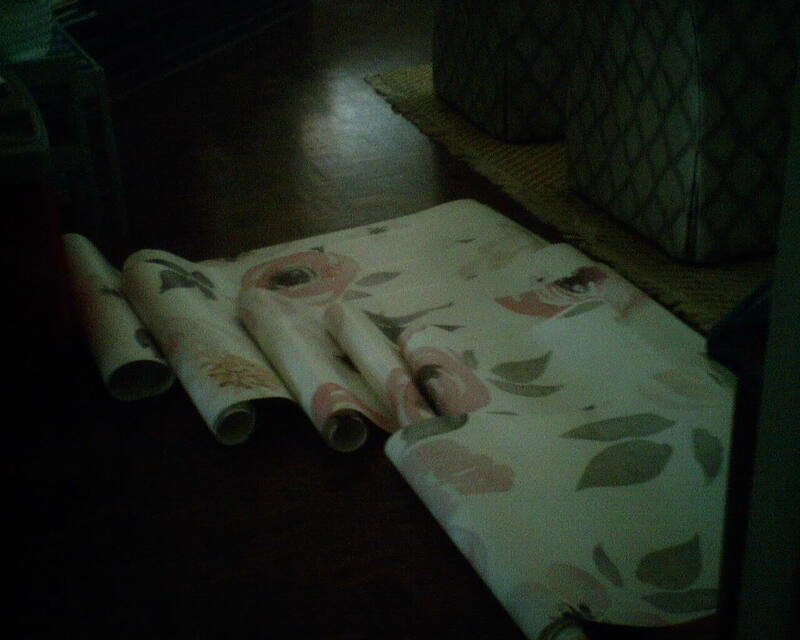 In the last photo, I have separated each panel and laid them out on the floor, to be sure the pattern matches, and to ensure the proper sequence for installation. This entry was posted on August 25, 2016 at 8:37 am and is filed under Uncategorized. You can follow any responses to this entry through the RSS 2.0 feed. You can leave a response, or trackback from your own site.